As those of you who are unfortunate enough to follow me on Twitter know I’ve managed a couple of DBA gaming sessions this week. Twitter you say, really? Yes I’ve been experimenting with Twitter for a while now. Professionally I’m trying to understand social media a little more. Forcing myself to try different forms of communication if you like. From a hobby perspective it seems a useful way to post a couple of photos of my games which don’t warrant the investment in time to post here. I’m of course not sure if it is of value to punters though as my “Twitter Followers” are few. Perhaps I need to be more outspoken as has been the case of some Presidents? 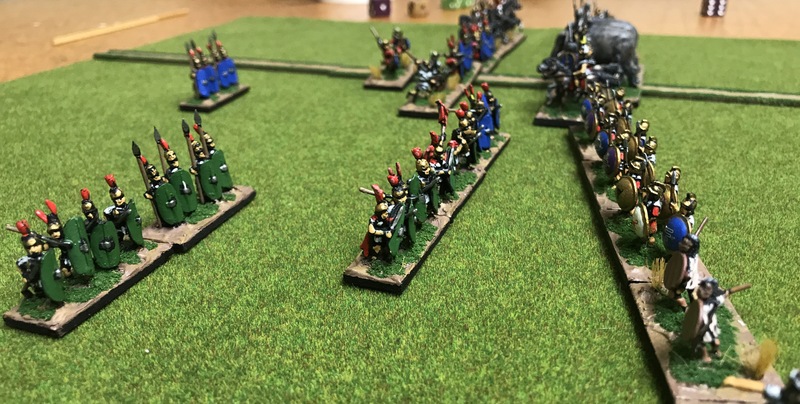 Anyway, for those without Twitter here are a couple of photos of this week’s games which I really thought needed to be highlighted a little more. 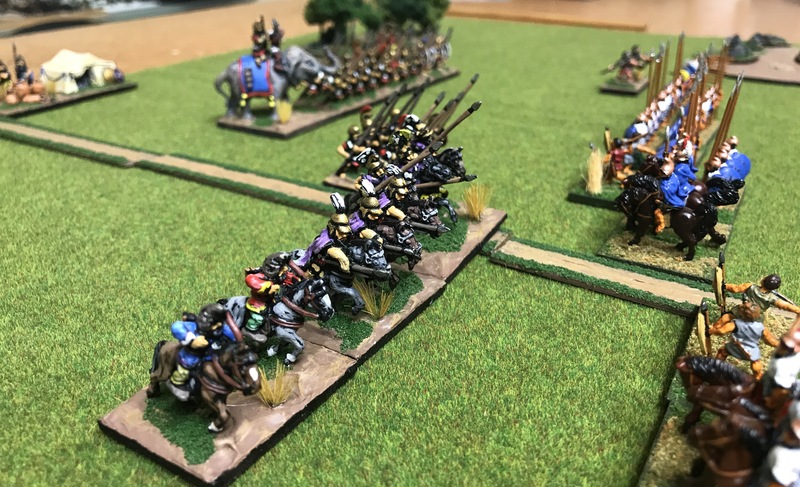 Firstly, above and below, a couple of photos from Tuesday’s excellent encounter between my Wars of the Roses English and Jim’s new Hussites. The massed War Wagons certainly had me scratching my head especially when the English cannon were destroyed early on! Another engagement is on the cards this coming week. 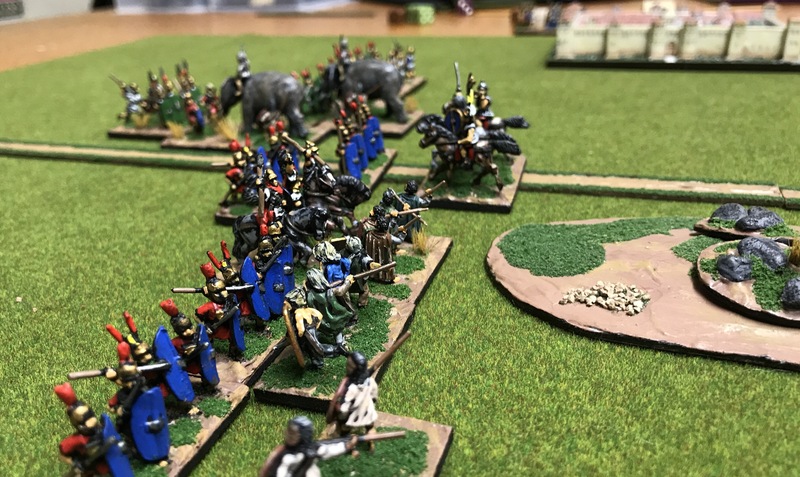 Then, for those with a model making bent, don’t miss my post on another opponent’s excellent use of his recently completed castle for use with his Yi Dynasty Koreans. Above, the scratch built castle, complete with Korean garrison. Below, a photo of another battle, with the castle now in Japanese control, just visible in the distance. 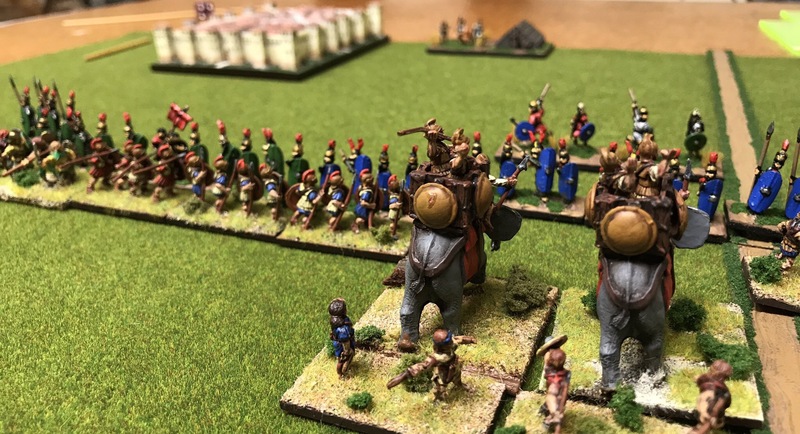 You will find a more detailed post in the Ancient wargaming section here. The Sengoku Jidai period, which roughly ran from 1467 AD to around 1616 AD is a fascinating period in Japanese history marked by social upheaval, political intrigue and near-constant military conflict. 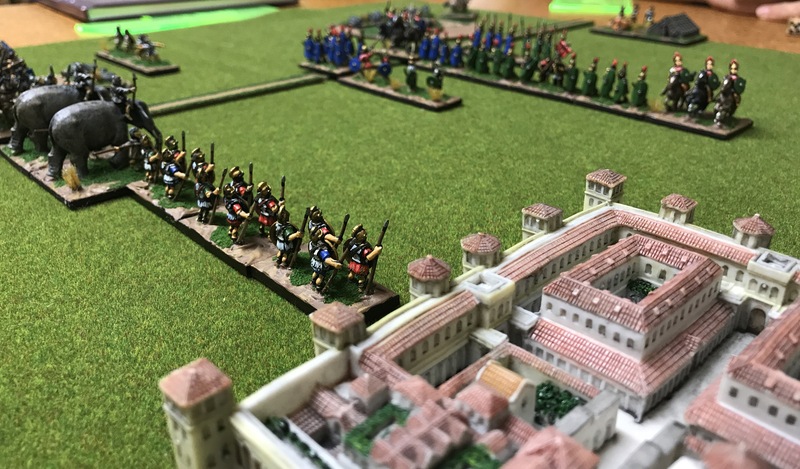 Colourful and massive armies clashed across the country in a series of campaigns. It seems ideal to represent in the table. Originally I built my own Japanese, mostly purchased second hand, for use with my preferred Renaissance rule set DBR. Typically DBR is used for large games on large tables. As a result in all that time I have used the army with the DBR rule set I have only managed a couple of games against other Japanese armies. Something was missing. 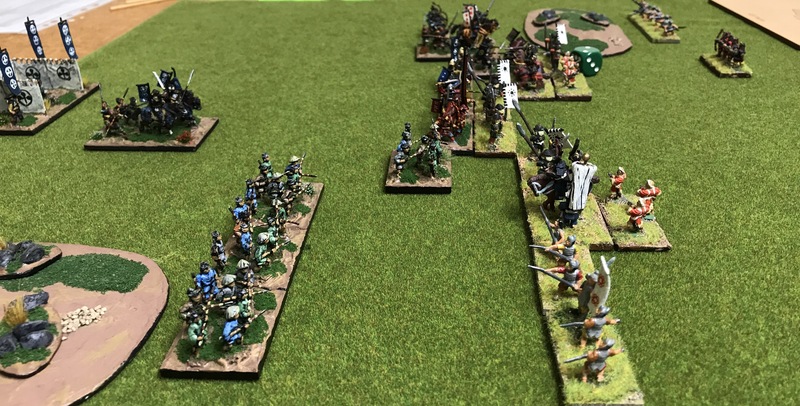 Over recent months a regular opponent and I have been engaged in a series of Sengoku Jidai encounters using DBA. DBA of course is based around small armies and short games. 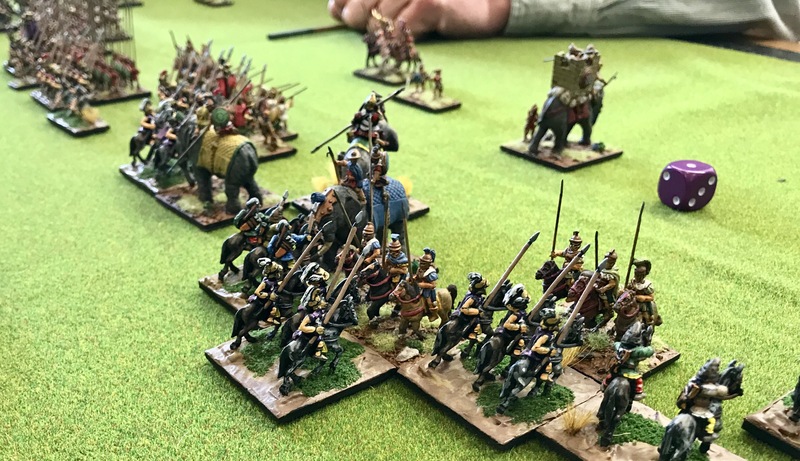 The armies were now out on the table and providing excellent games in our mid-week gaming slot. Even more interestingly these smaller games have had considerable variety, more so than the large games which tended to use all my miniatures. In part this variety is due to the options in the DBA army lists. The armies have a core of standard troops which is varied by yari armed ashigaru, various town or Ikko Ikki militias, or the warlike Sohei warrior monks. In addition unusual options such as command posts, dismounted generals and bodyguards, as well as cavalry supported by dismounted followers, can be fielded. As a result, assuming players make the most of the options, considerable variety between games can be achieved. Now I know that DBA is not for everyone. 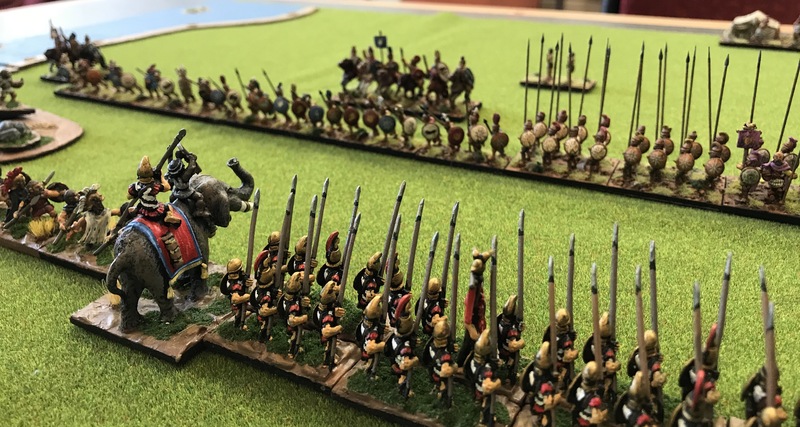 However, the ability to fight battles between historical enemies with a pleasant opponent provides, for me, an enjoyable gaming experience – especially when time is limited. Last night additional variety was introduced when another player visited and fielded a Yi Dynasty Korean Army. Here was another seldom seen army and yet again DBA produced an excellent evening of gaming. A few photos of this game can be found here.